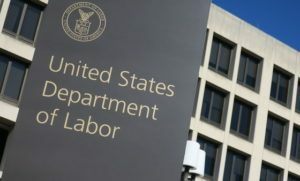 On October 10, 2017, the U.S. Department of Labor announced its proposal to delay the effective date of new claims procedure regulations that were passed in 2016 for group disability benefit plans offered through employers. These plans are governed by federal employee benefits law ERISA – the Employee Retirement Income Security Act. Even though the new claim regulations are not scheduled to go into effect until January 1, 2018, the word is that representatives of the insurance industry asked the Trump administration to delay implementing the new regulation.